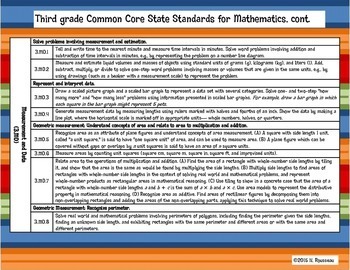 This packet is the perfect way to display the Common Core within your classroom in beautiful primary colors! 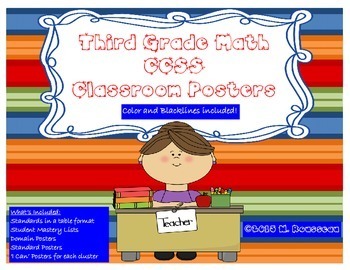 It includes pieces for both the teacher as well as the student. All items come in full color as well as in a blackline format. They are ‘color-coded’ so you know which piece belongs to which standard! 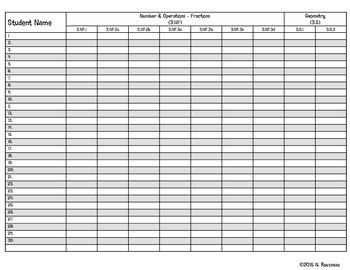 You receive a handy Core Standards table for quick and easy reference and Student mastery check-off lists. For display within the classroom, you receive Domain posters with separate Standard headings and student-friendly ‘I Can’ statements for each cluster. After you download and evaluate this product, please don't forget to come back and leave feedback. This helps me stay on target and EARNS YOU CREDIT towards your future TpT purchases!